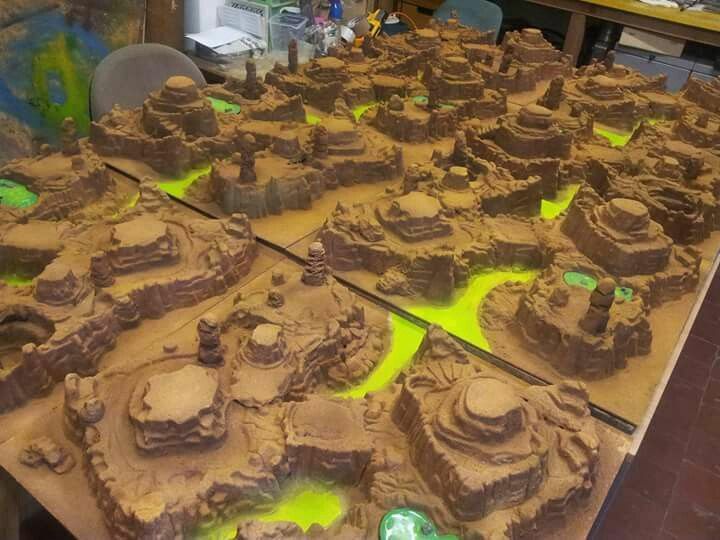 Regardless of the miniature scale you play or game scale, what terrain is your favorite to game in/on? I'm partial to desert, but only because it matches most of my bases. Whatever we use, I like scatter terrain that can be arranged in multiple ways rather than static pieces. It really depends on the scenario. Desert, woodlands, hills and ruins. The cold, dark vacuum of SPAAAAACE! 5/6mm are geared for temperate zone countryside. 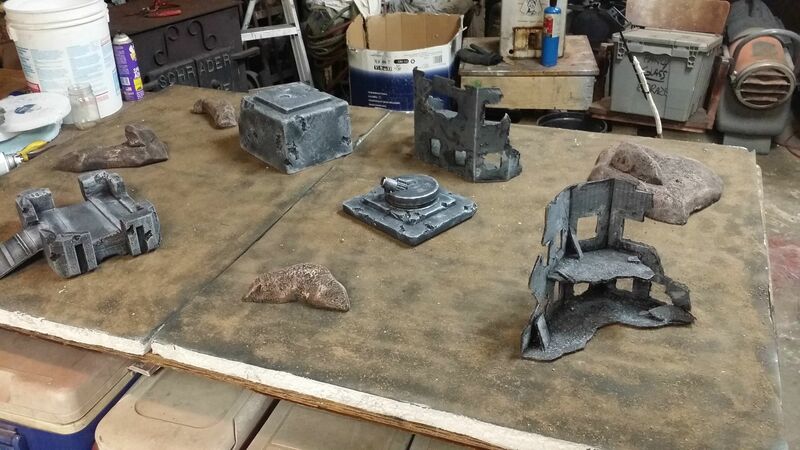 Destroyed city or alien jungles for 28mm sci-fi. For historical and fantasy, then it's rolling hills and woodlands. 28mm Infinity: City. Have plans for a spaceship boarding action. 6mm (Robotech): Either city or space. I have a lot of options, but I try to avoid big towns or cities. GW's predilection of MOUT is not my idea of a good place to fight. Just like in the RW. A little vill or hamlet here and there is fine with me ! Whatever terrain that is being used I only have one requirement. There needs to be lots of it, so that fields of fire don't cover the whole board. This is far to open. 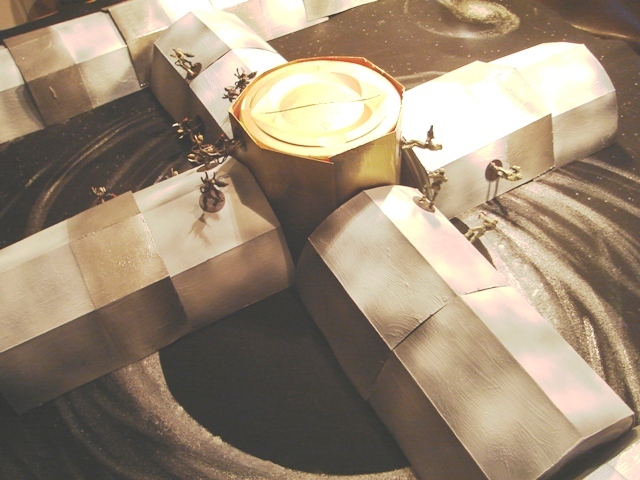 Though they still could use a bit more terrain. Depends on the scenario, of course. 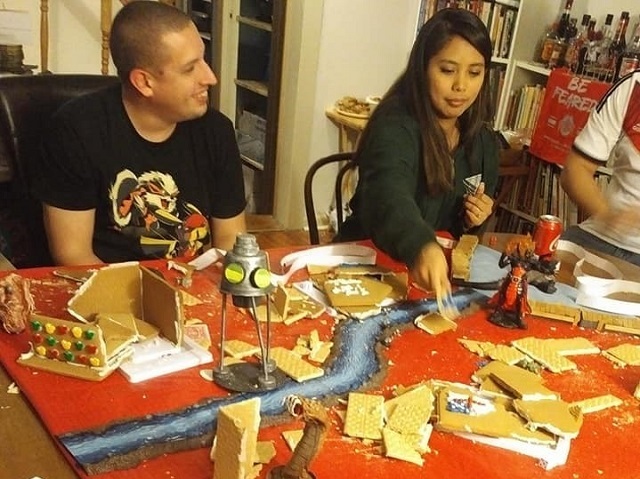 In general, I feel that terrain only belongs on the table if it's going to make the game more interesting. Those look to be on a little sparse side as we lugged the terrain to a local con and there's wasn't awfully lot of it available, but that's the overall style. Got to do something with all that leftover gingerbread !!!! Edges of urban areas, small towns, special facilities ( Power ponst, military outposts, mines and so forth) and research facilities interspersed with avariety of terrain are my choice. There has to be something there worth ccoming into conflcit over, that's the main thing, so I guess it's a case of scenario-driven terrain.